everett.peacock.com: Who is "The Slovakian"? 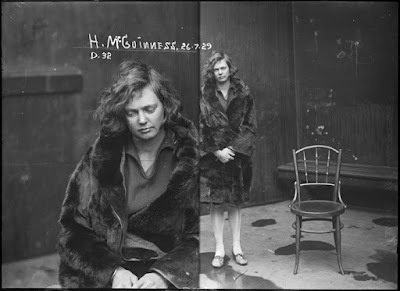 ...there was her great-grandmother, Kateoina, arrested in Paris, during the so-called "Fur Raids" targeting illegal fox, mink and beaver pelts. The authorities didn't believe her claim that her coat included only black bear pelts, which she had sewn herself, after killing only one, large, bear back in the homeland. She was very industrious, and an indomitable survivor, and also realized that the so-called chair, next to her, was trouble... having reduced the previous occupants of this cell to the puddles still obvious on the floor.